Vatican City has only existed as an independent state for less than a century, but it followed in the footsteps of the independent Papal States of the medieval period. 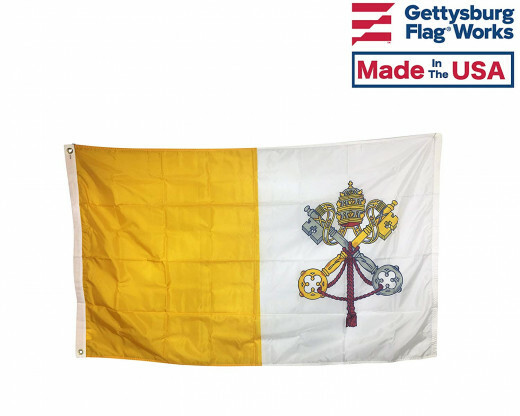 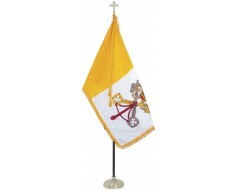 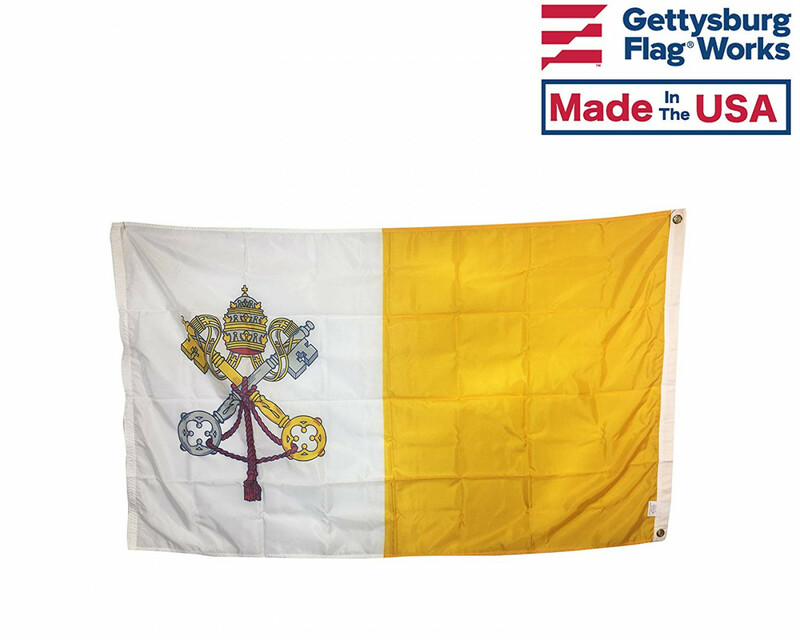 The Vatican City flag likewise follows in the footsteps of the flags of the Papal States, and it reflects the legacy of the Catholic Church's influence in the world. The Vatican flag features two vertical bands. 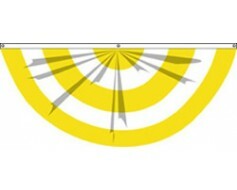 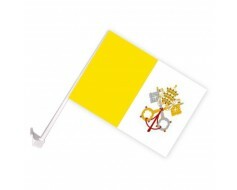 The band on the hoist side of the flag is yellow, while the band on the fly side of the flag is white. 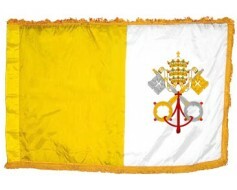 The white band contains the Vatican City coat of arms, which features a crossed pair of keys below the papal tiara. 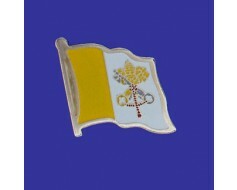 The crossed keys represent the keys to Heaven, while the papal tiara is a symbol of the Catholic Church's worldly influence. 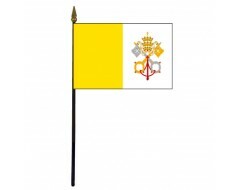 The yellow and white bands on the Vatican flag reflect the gold and silver colors of the keys, which further emphasizes the nation's spiritual aspects on the Vatican City flag.